Planning Stage- Where is your party? When does it start/end? Location- Inside or Outside? Your home or event space? Theme- Will you have children at your party or adults only? Zombies, ghosts or witches? Food/Drink- Are you cooking? Pitch-in? Ordering in? Entertainment- Will you be having games? A band? Movies? Parking- Where will you have your guest park? Will they need to carpool to avoid taking up to much space? Invitations- Are you handwriting invitations or sending out virtual Social Media invites? 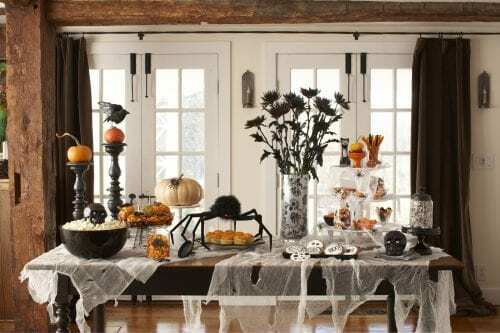 Decorating- You will need to find decorations to go along with the theme of your party and give your guests a scare! Pumpkin- Make sure you have some carved pumpkins and wicked decorations outside welcoming your guests. Make sure you de-clutter the entry way for your guests or any party rooms. Sweep and vacuum all floors your guests will be entertaining. Move any furniture for the party. Set up any tables for food and drink. Hang up any decorations you have for your themed Halloween bash! Set up your games, music, movies and any other entertainment for the evening. It’s always wise to carry extras. Extra costumes in case a guest spills on theirs, extra silverware, paper towels, forks, etc. Stock your bathroom with the essentials for your guests. 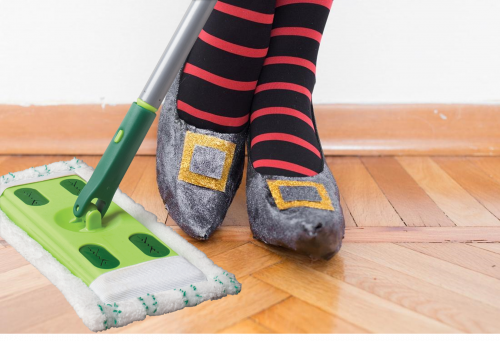 Sweep away your haunted mansion leaves and any other small debris that was tracked in by your spooky guests with your Quick Shine® Hardwood Floor Mop. Grab your Quick Shine® Spray Mop for heavier soil trailed in by those mummies. For gooey fingerprints and sticky smudges on your stainless appliances, reach for your Quick Shine® Stainless Steel Cleaner + Polish to clean and protect them for the next holiday. Quick Shine® has the tools for all of your cleaning needs so you can step back and enjoy the memories made the night before! Have a Spooktacular Night!